The God Delusion research papers discuss Richard Dawkins' arguments against the existence of God. Research papers on The God Delusion by Richard Dawkins are required for either literature courses or religion classes. Paper Masters will help you write your research paper on the God Delusion and make sure you understand the complex examination of the atheists view of God. The God Delusion is a 2006 book by noted English biologist and prominent atheist Richard Dawkins. In the book, Dawkins not only argues that the existence of God is almost certainly a myth, but maintains that believing in a supernatural creator is akin to a delusion, which he defines in his premise as maintaining a persistent false belief in the face of overwhelming evidence. 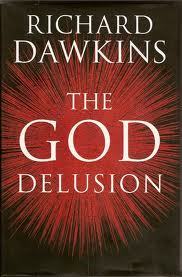 The God Delusion was not Dawkins’ first foray into atheistic publishing. His 1986 book, The Blind Watchmaker, for example, sought to demonstrate how evolution explains the natural world without the need for a intelligent designer. Dawkins had wanted to publish a book more openly critical of religion, but was dissuaded by his publisher. It was only after other books, including those written by Sam Harris and Christopher Hitchens, that Dawkins publisher relented. Dawkins book was met with both commercial and critical success as well as criticism. Dawkins continues to maintain that religion has a negative influence on society. Evolution verses Creation research papers examine the arguments for Creationism and Evolution. Order a research paper on evolution from Paper Masters. Evolutionists research papers explain the beliefs of theories of evolution started by Charles Darwin. Paper Masters writes custom research papers on The God Delusion and discuss Richard Dawkins' arguments against the existence of God.